A creative partnership that expands in-house creative, e-commerce and marketing teams to produce immersive brand strategy and experiences. 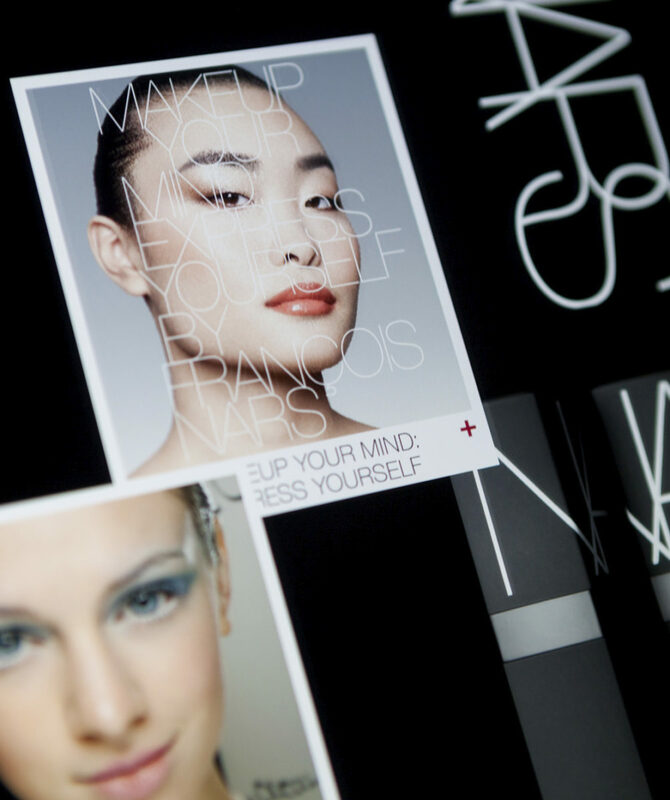 A beauty industry pioneer, NARS strived to be a digital leader too. With the goal of increasing sales, boosting engagement and building immersive experiences, we were hired to extend their in-house capabilities. We devised agile campaign platforms and initiatives that integrated with their enterprise CMS, without extra work for their team. Using a WordPress backend that offered highly flexible layouts and feeds that spoke to the NARS enterprise system, we devised a creative and low-cost alternative to updating their Demandware site. Online conversions depend on seamless shopping. We built a quickshop on new campaign pages to extend shopability to the most engaging areas of the site. Mercury designed and developed an interactive, drag and drop palette builder. 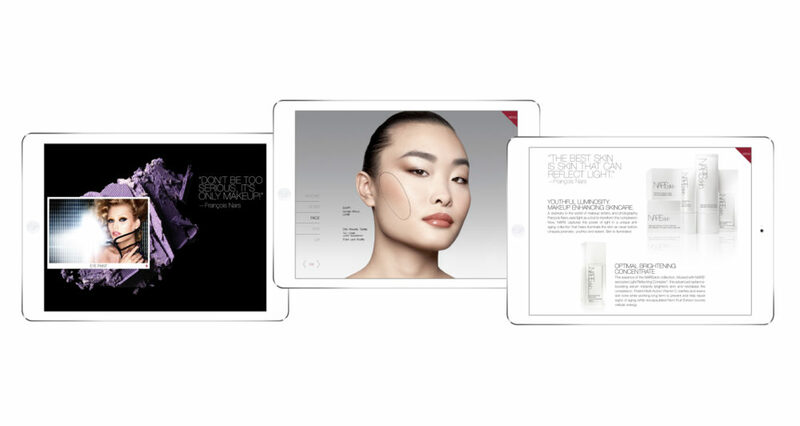 The NARS Pro-Palette provided a seamless and engaging UX for building custom professional palettes online. The tool became an e-commerce powerhouse and the product is now a NARS staple worldwide. 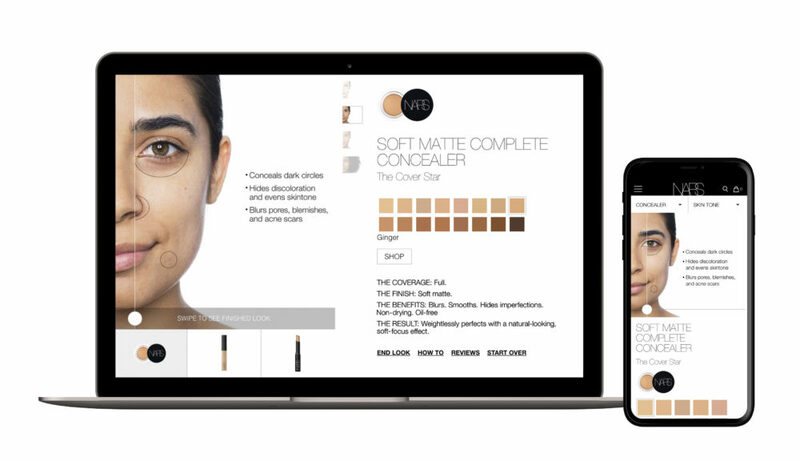 We designed and developed a tool for a product launch that paired a customer’s skin tone and coverage preferences with one of the NARS concealers. The tool showcased shades, a before and after toggle, how-to videos and product benefits. Highly engaging, the tool became an evergreen destination for customer engagement and education. We designed and developed an in-store experience through an interactive kiosk display expanding on artist tips, new products, and how to get the look. Great design is a methodology.